Congressman Steny H. Hoyer is among a group of regional lawmakers who are making their voices heard as work begins on 2017 Federal Aviation Administration reauthorization legislation, making possible changes to the region’s airport perimeters. Mr. Hoyer (D-Md., 5th) and 14 other regional members of Congress urged their colleagues not to further overburden operations at Ronald Reagan Washington National Airport by adding more flight traffic. 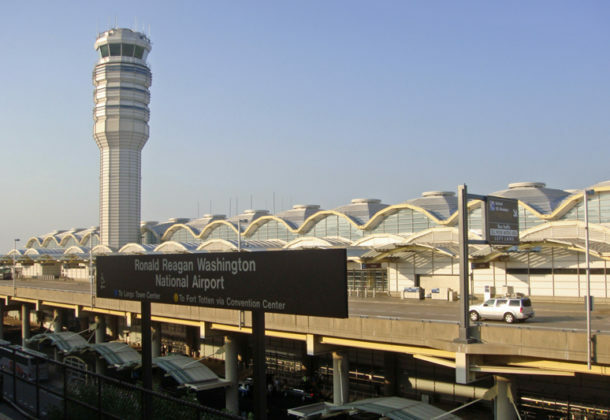 In a letter to those colleagues, the members state that when Congress established the Metropolitan Washington Airports Authority in 1986, it was charged with operating, promoting, and protecting Reagan National and Dulles International together as primary airports that serve the metropolitan Washington area, in addition to Baltimore Washington International Thurgood Marshall Airport. The delegation notes in their letter that maintaining current rules will allow Dulles and BWI to continue to grow and serve long-haul destinations, while also not subjecting space-constrained National Airport to more traffic, which could overwhelm parking and baggage facilities and have negative impacts on the communities near the airport. The letter was signed by Congressman Hoyer, as well as US Sens. Mark R. Warner (D-VA), Tim Kaine (D-VA), Chris Van Hollen (D-MD), Ben Cardin (D-MD), Joe Manchin (D-WV), and US Reps. Barbara Comstock (R-VA), Gerry Connolly (D-VA), Rob Wittman (R-VA), Don Beyer (D-VA), A. Don McEachin (D-VA), Bob Goodlatte (R-VA), Anthony Brown (D-MD), John Delaney (D-MD), and Del. Eleanor Holmes Norton (D-DC). In their letter, the lawmakers said that maintaining operational stability at the airport has created a balance for the broader interests of the region. “Our airports enable Maryland, the District of Columbia, and Virginia to access the global economy in ways that create jobs and opportunities for the region. Part of the rationale for the relocation of major corporate headquarters such as SAIC, Hilton Hotels, Nestle USA, and Volkswagen of America is the connectivity our regional aviation system provides,” the letter states. Both the Senate and House are expected to consider FAA reauthorization proposals in coming months, with the current FAA authorization expiring at the end of September 2017. See the full text of the letter here. Congressman Hoyer and other members of the Maryland delegation also support the DC Metroplex BWI Community Roundtable’s proposed resolution of the NextGen flight path issue at BWI Airport and urged the FAA to act. The full text of that letter is here.